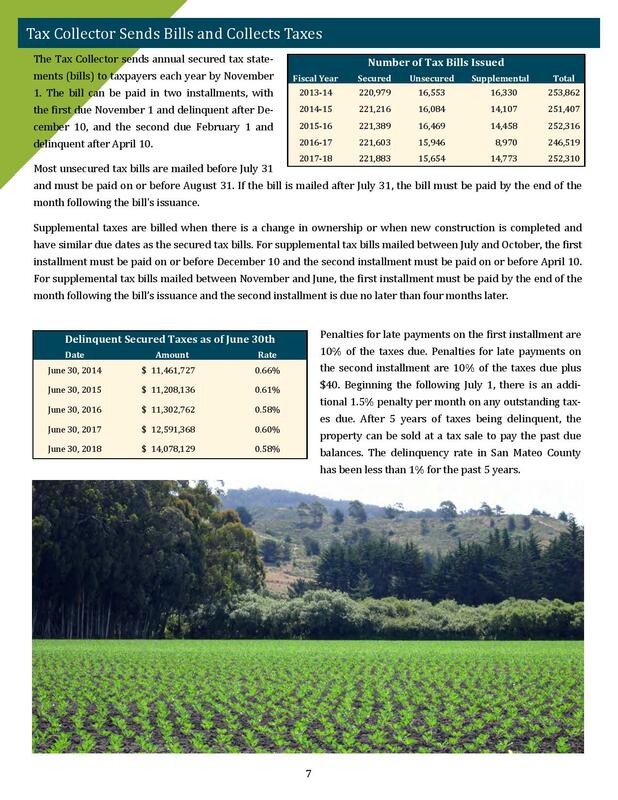 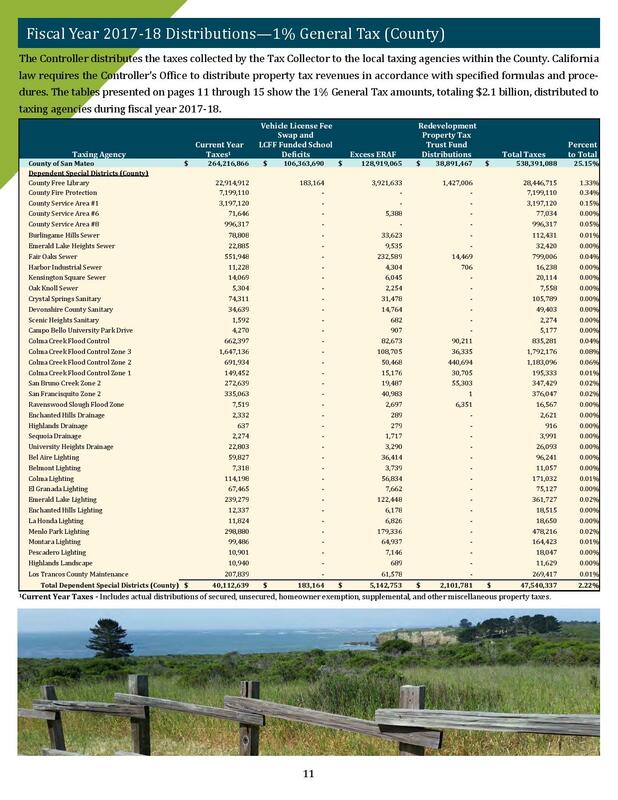 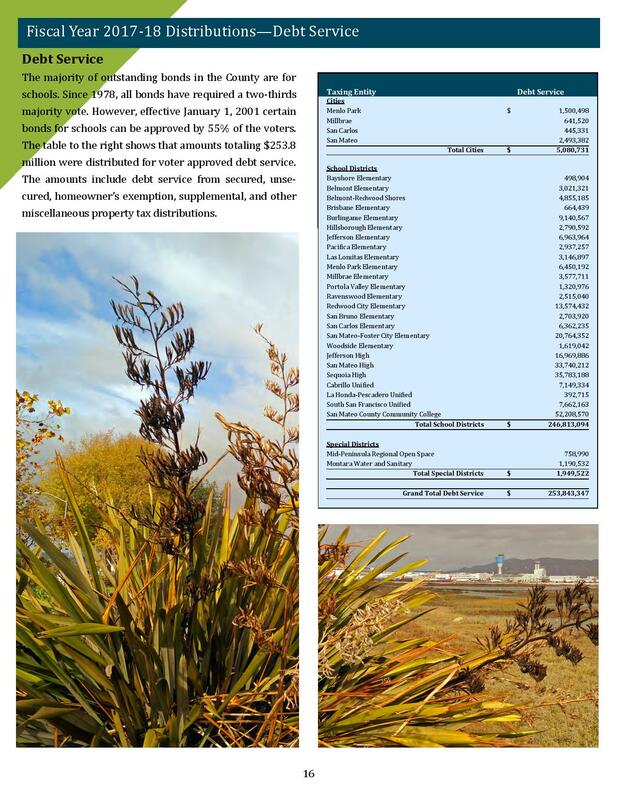 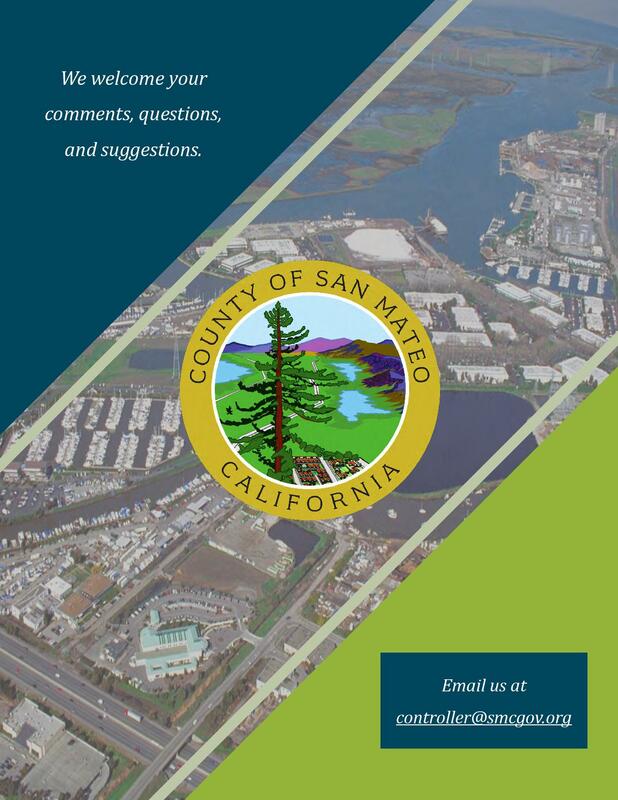 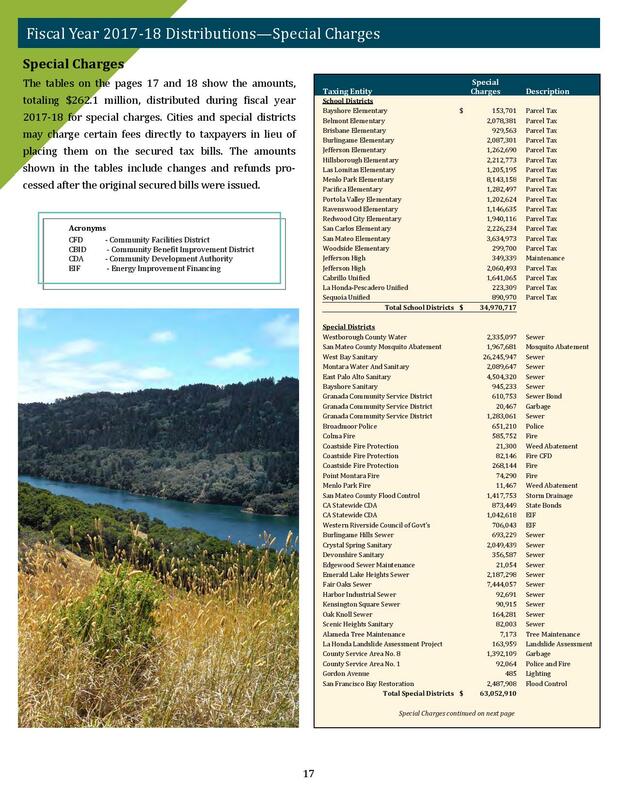 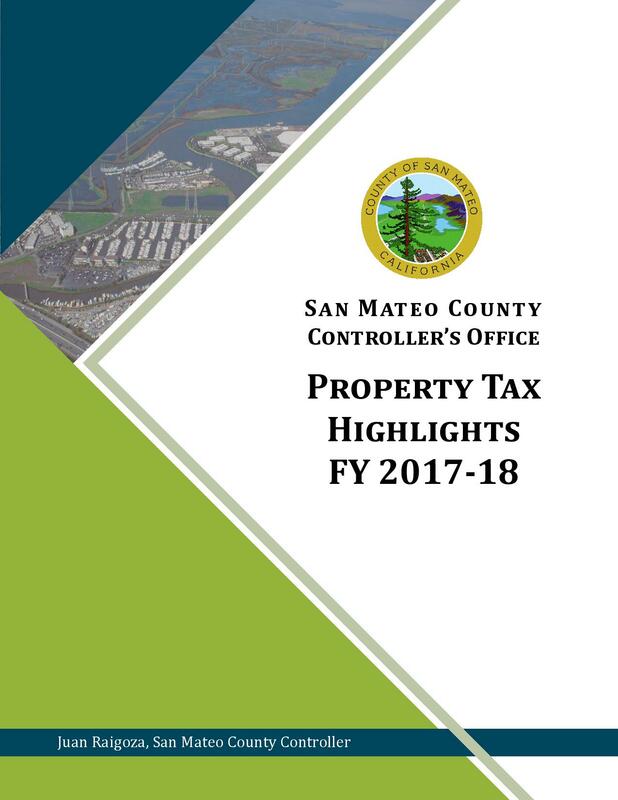 Property taxes grew for a seventh consecutive year in Fiscal Year (FY) 2017-18, allowing $2.6 billion to be distributed to local government agencies that provide essential services to the county’s residents, according to the Property Tax Highlights report released today by the San Mateo County Controller’s Office. 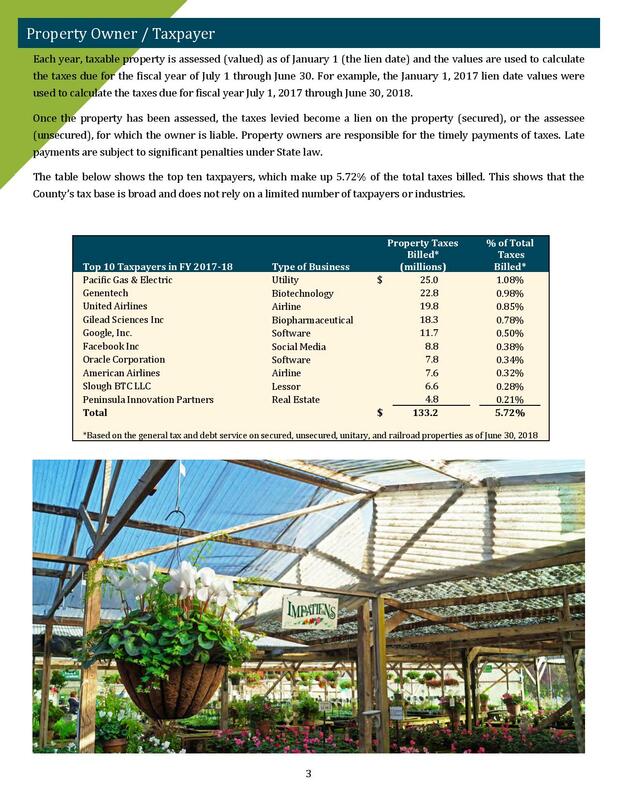 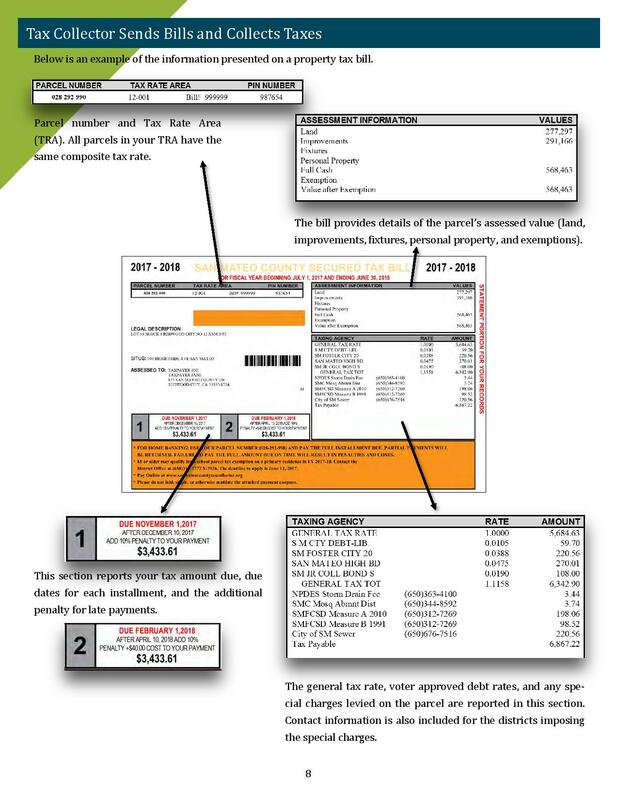 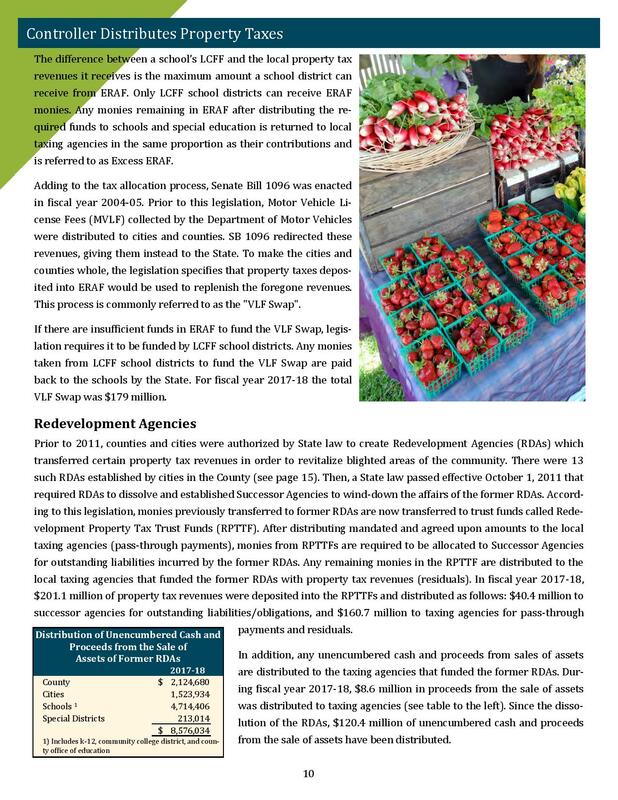 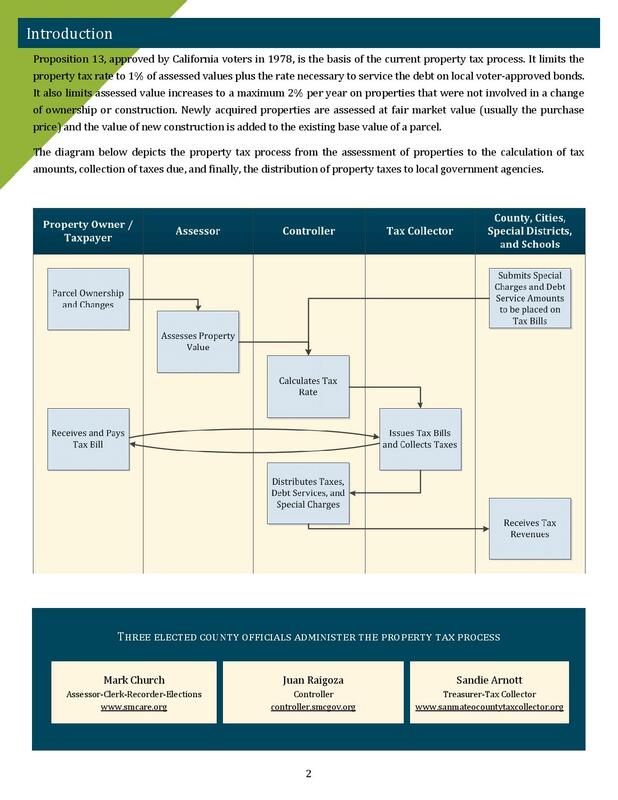 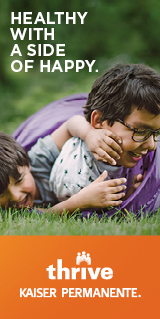 The annual report provides the public a look at how and from whom property taxes are collected and how they are distributed to the 131 local government agencies (cities, county, school districts, and special districts) that use them to provide public education, public safety, health, social, fire, recreational, and other services to residents. 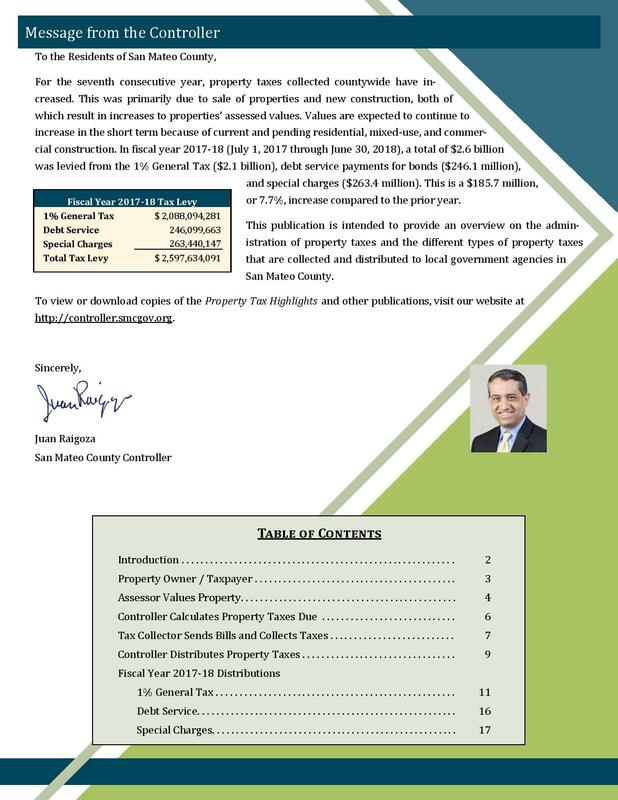 The top 10 corporate taxpayers for FY 2017-18 accounted for 5.7 percent, or $133 million, of the total property taxes billed, up from 5.2 percent in FY 2016-17. 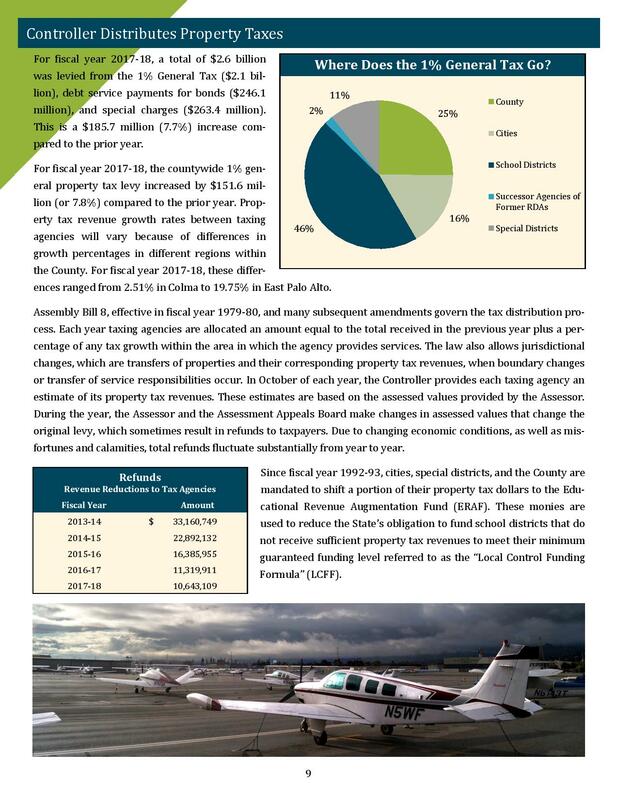 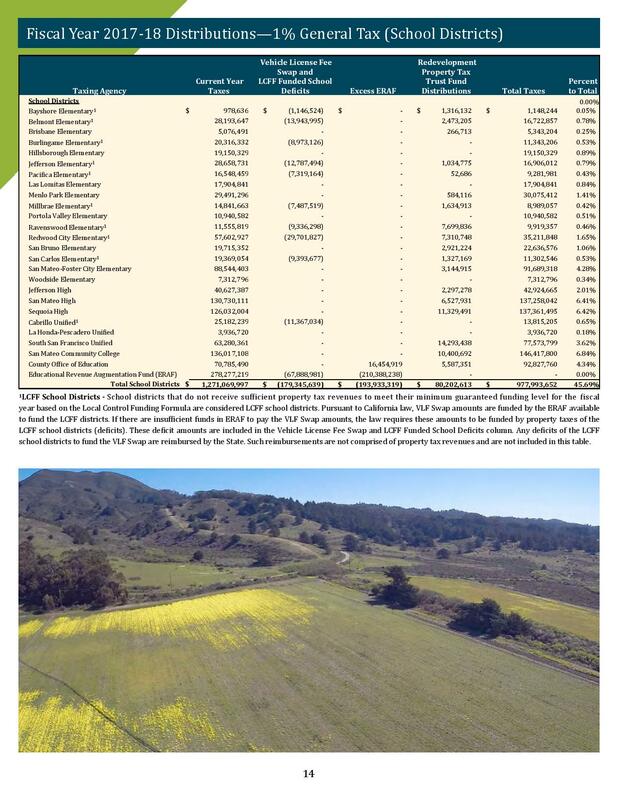 “This shows that the county’s tax base is broad and does not rely on a limited number of taxpayers or industries,” County Controller Juan Raigoza said. 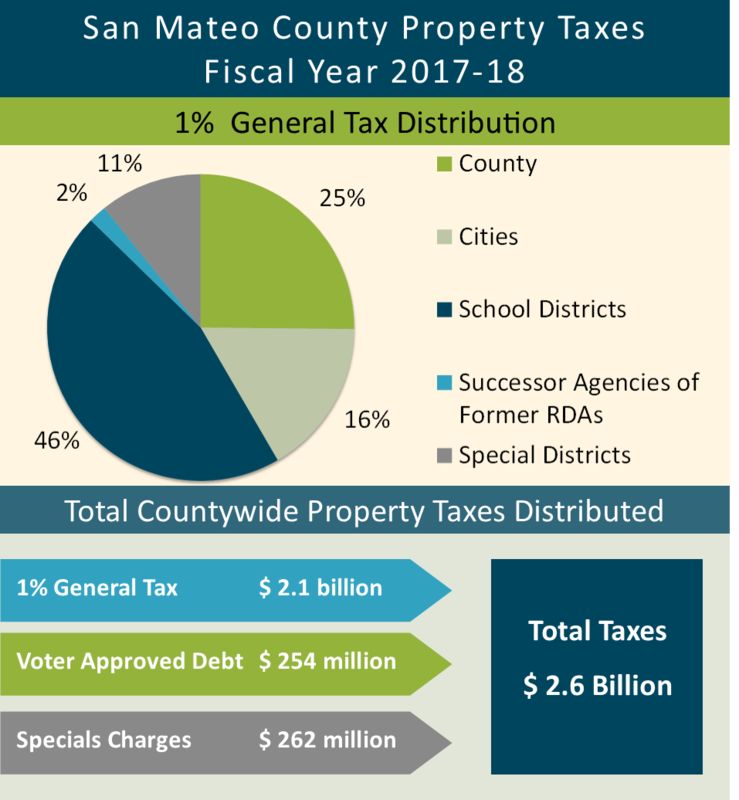 The attached graph shows the portions of the countywide 1-percent General Tax ($2.1 billion) distributed to the school districts (46 percent), County (25 percent), cities and towns (16 percent), special districts (11 percent) and successor agencies of former redevelopment agencies (2 percent). 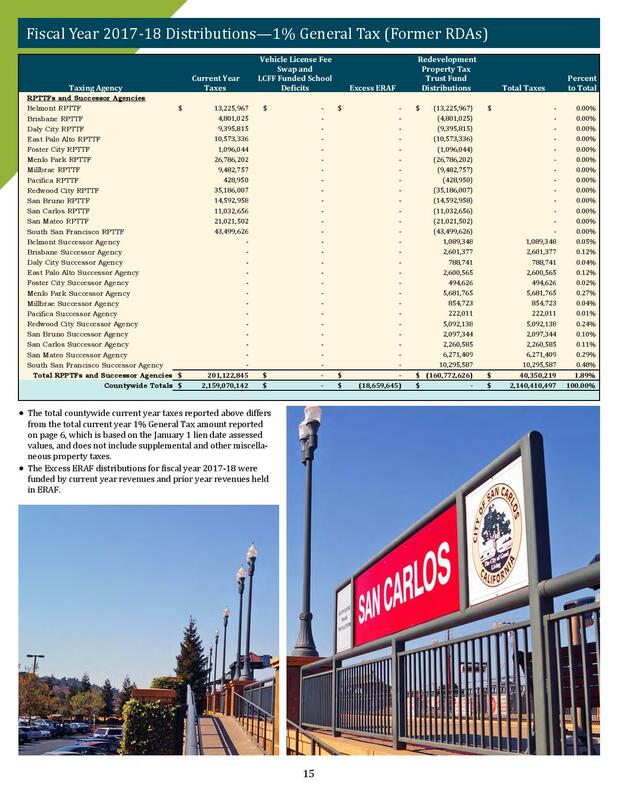 It also shows that $254 million of taxes for voter-approved debt and $262 million for special charges were collected and distributed in FY 2017-18. 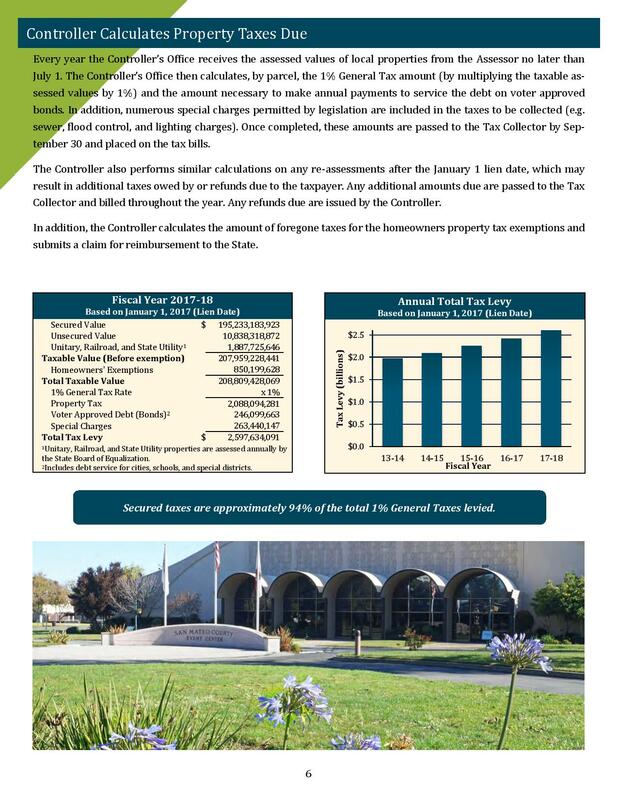 While the total taxes generated have increased for the seventh consecutive year due to annual increases in assessed property values, the average tax rate has remained steady during these years. 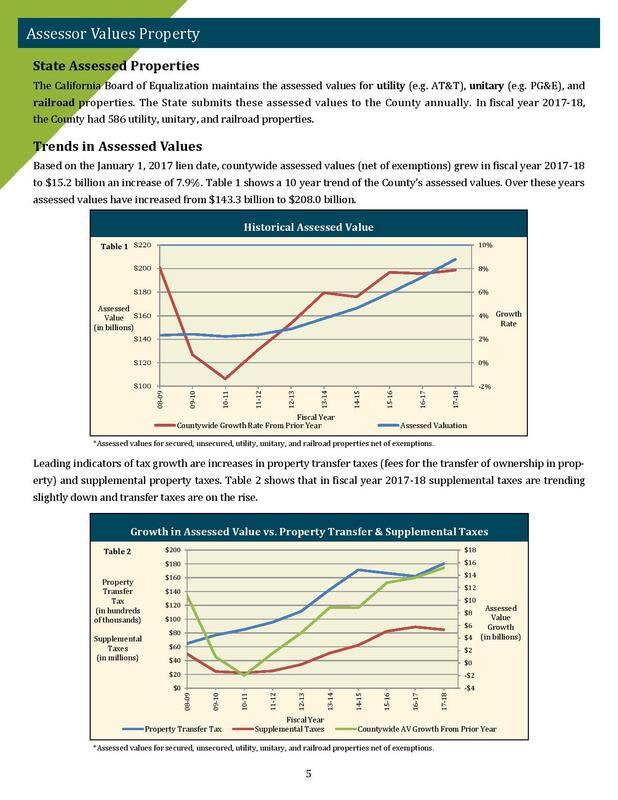 Total countywide assessed values and taxes have increased between 6 and 8 percent each year since FY 2013-14. 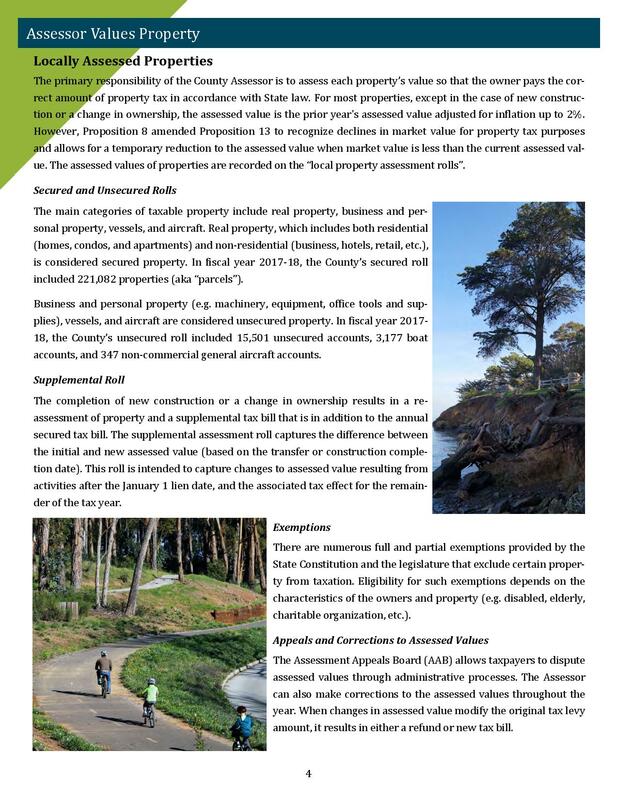 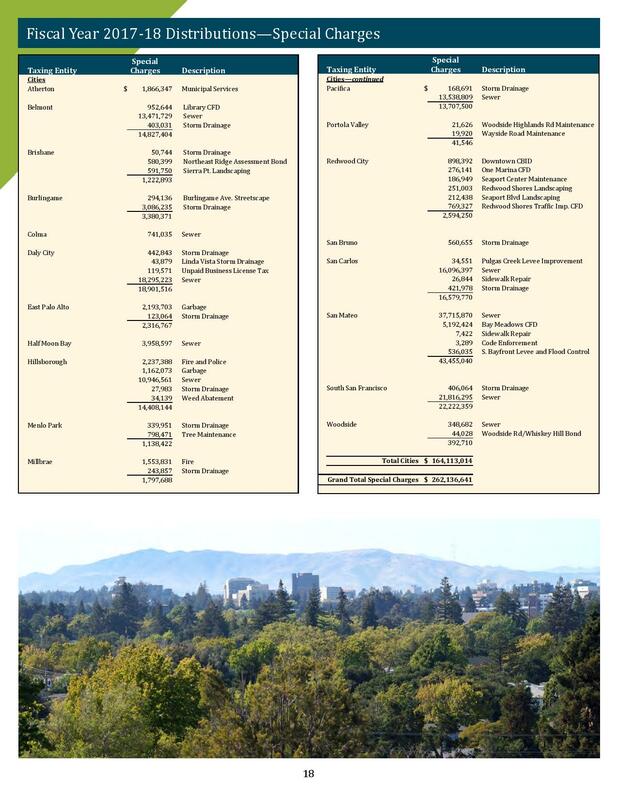 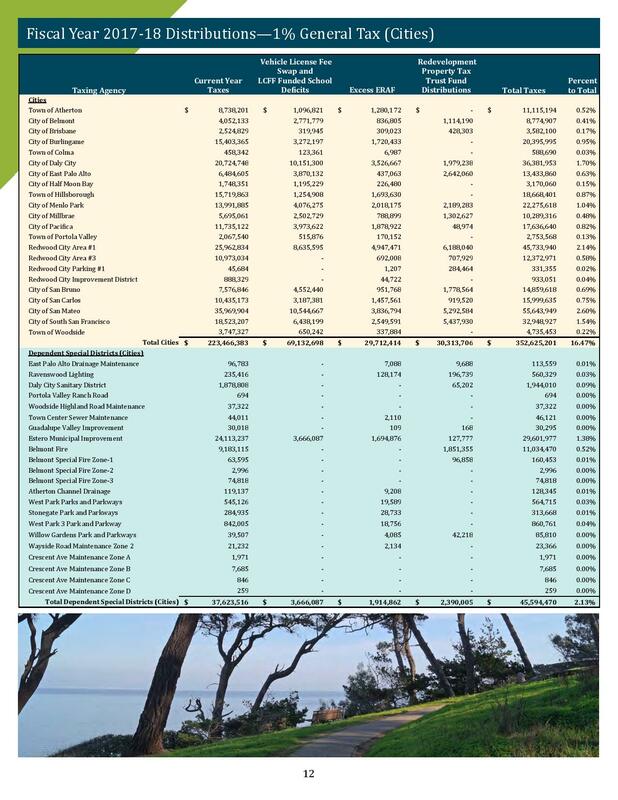 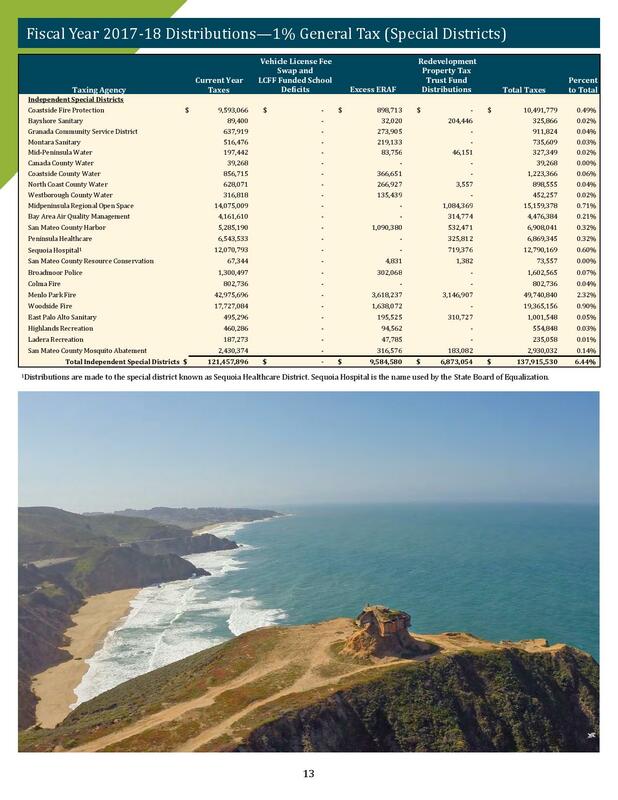 Other County financial information documents, including the Comprehensive Annual Financial Report (CAFR) and Financial Highlights Report are available at www.smcgov.org/controller.